Ginger is by far one of my favorite ingredients to cook and eat. 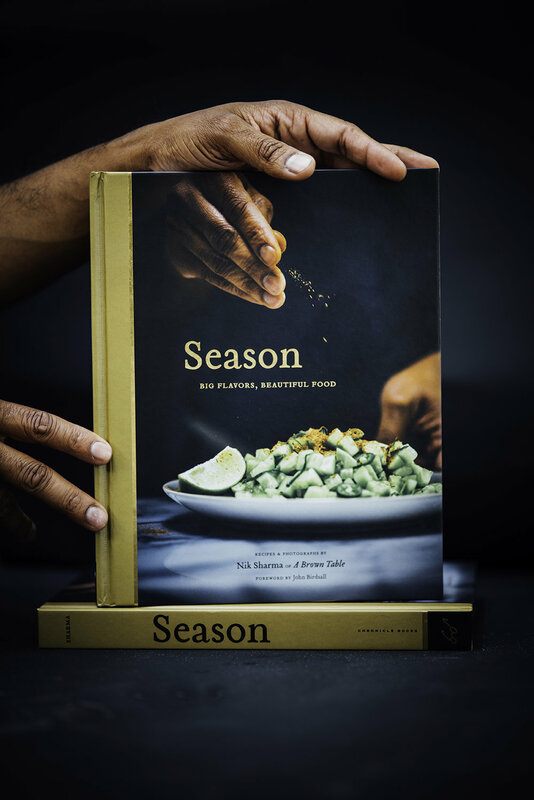 Though I consume ginger throughout the year, it somehow moves up the ladder in my kitchen to become one of the most popular ingredients as soon as the weather begins to cool down. Those delicious warm and zesty notes in ginger are probably the main reason why I fall in love with this spice year after year. 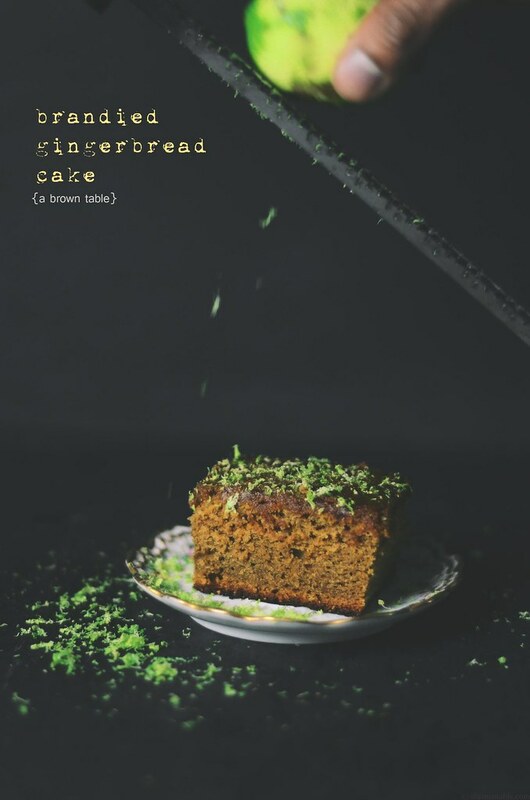 Gingerbread cake is one dessert that I make a few times every holiday season and each time the recipe changes a little. 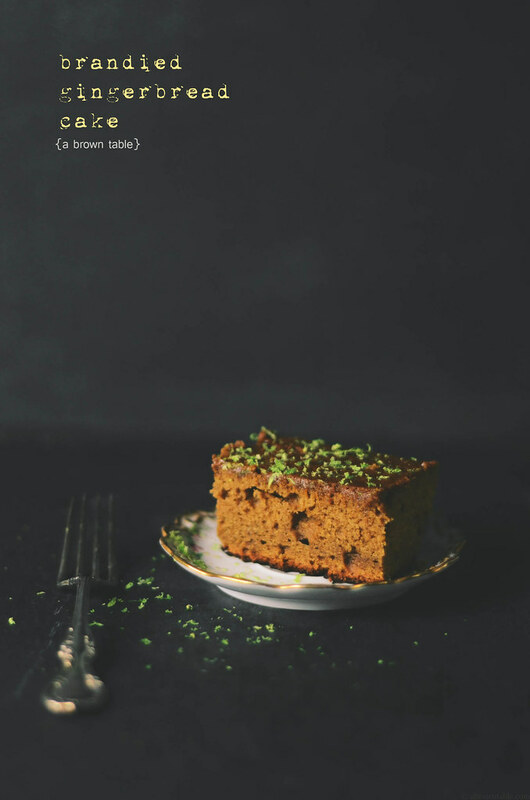 This version of the cake is earthy with whole-grain buckwheat flour that's flavored with a blend of delicious spices and the sweetness of molasses and brown sugar. I sometimes throw in a little bit of crystallized ginger bits (a generous 2/3 cup amount, lightly tossed in flour added at the final stage of the batter preparation) into the batter to give it an extra special kick but this time I left it out. This cake represents my slightly boozy and whole-grain twist on this delicious traditional dessert. I've added in brandy and orangecello into the cake batter and the sauce. If you can't find orangecello then orange juice will work fine too. If you want to skip the brandy completely that is fine too, I would recommend swapping the apple cider and orange juice (use the same volumes) for the brandy and orangecello. I prefer serving this cake warm with the fresh lime zest scattered all over the cake, though it tastes delicious when cool too. The lime zest really lightens the flavors of the spices in the cake. The brandy sauce permeates through every bit of the cake without making the cake too soggy yet keeping the cake moist. However, if you want to reduce the alcohol and make the cake less boozy, I would recommend simmering the alcohol for a longer time (approximately 20 minutes) or you could carefully flambé the sauce to get rid of most of the alcohol (I've done it both ways but simmering for a longer time is easier and safer and you can always add a little water to the sauce to dilute the flavors if they become too concentrated). 1. Preheat the oven to 350F and set the rack in the lower third position of the oven. Line the baking pan with parchment paper and keep aside. 2. Mix and sift the dry ingredients from the flour to the cloves, three times and keep aside. 3. Fix the paddle attachment to a stand mixer. 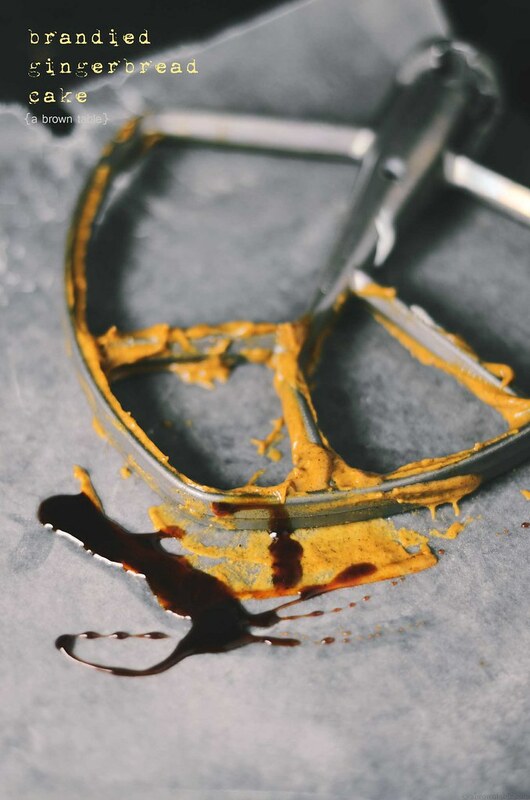 In the mixing bowl of the stand mixer, add the butter and brown sugar and beat on medium-low speed until creamy. Add one egg at a time and beat the batter for 40 seconds at medium-high until all the eggs have been added. Mix in the molasses, orangecello and brandy at medium-low speed. 4. Add half of the sifted dry ingredients to the batter and mix at medium-low speed. Add the yogurt to the batter along with the rest of the dry ingredients and mix at medium-low speed until completely combined. 5. Quickly transfer the batter to the prepared pan and bake in the preheated oven for 40 minutes or until firm to touch in the center or until a skewer when inserted into the center of the cake comes out clean. 6. Let the cake cool in the pan for 10 minutes. Run a knife around the edges of the cake and drizzle with the warm brandy sauce (instructions below) evenly over the cake. Allow the cake to sit for at least 30 minutes before serving, to allow the cake to absorb the sauce. 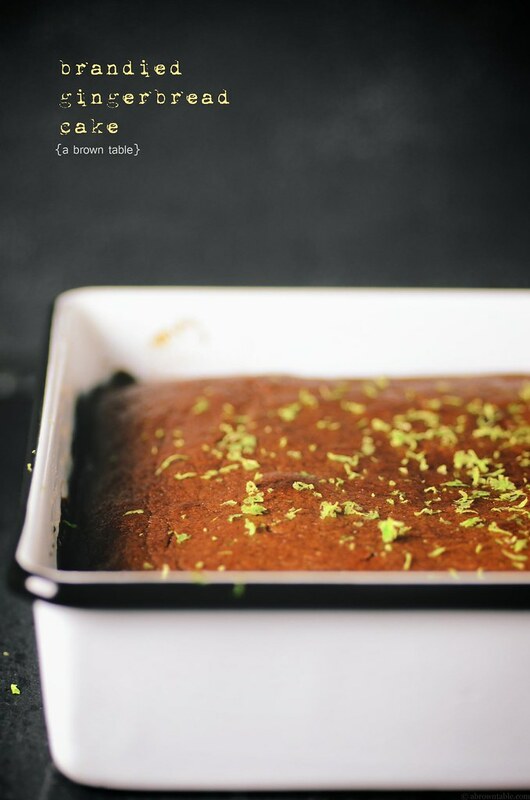 Just before serving, garnish the cake with the fresh lime zest. Mix all the ingredients together in a thick bottomed saucepan and bring to a boil on a medium high flame. Reduce the flame to low and simmer for another 10 minutes. Remove from flame, pass the sauce through a strainer and discard the spices. Reserve the sauce and keep aside until ready to pour over the cake. In "Cake", "Dessert", "Fall", "autumn", "brandy", "gingerbread", "orangecello"